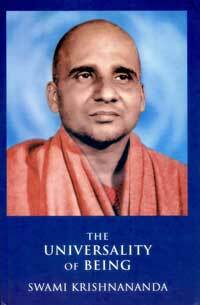 This is a series of discourses that Swamiji gave to students in the Ashram’s Yoga Vedanta Forest Academy during March and April 1996. In this course Swamiji discusses the true nature of reality—that everything, including ourselves, exists at all times and at all places; that the past, present and future are an appearance and are interchangeable; and that even the smallest particle is in all levels of existence simultaneously—and guides the student through a profound meditation technique of becoming established in that awareness, culminating in the highest state of being, the Absolute. The reader is taken stage by stage through the levels of samadhi, and is given a practical explanation of the highest truth behind the appearance of creation, and of how understanding these facts and applying them to one’s own perception results in Self-realisation, liberation, moksha. This is an important book for all sincere spiritual seekers, who will be benefitted greatly by it. Welcome to you, all students who have come to participate in these courses of teaching in the Academy. Perhaps you have not attended courses of teaching of this kind up to this time, though you must have had a vague feeling of the benefits that would accrue to you by attending these classes. Possibly you have a feeling that you will become healthier, more peaceful, and also more successful in your workaday world. These are common ideas that may be present in all of you. They are all valid feelings, of course, and it should be like that. After participating in the teachings you must certainly feel better in every way—not only in some way, but in all ways. In order to have an inkling of what is meant by ‘all ways’, you must also have an idea of what you are yourself in regard to everything that you need, require and aspire for in your life. What is it that you are looking for? Anything and everything—there is nothing that you would not like to have. If you would like to have every kind of blessedness, it should be possible for you to prepare yourself as a proper recipient of this blessedness. The all-sided blessedness can be received only by an all-sided instrument. If you are a fraction of a person, you will have only a fraction of blessedness. The amount of sunlight that will enter your room depends upon the opening through which the sunlight can pass. If there is only a little hole or slit, only that much light will come to your room. If you are a tiny individual personality, capable of imbibing into your life only little things, only that much blessedness will be your fortune. You cannot be small and then ask for so many things. The world is very big, and it has all resources within itself. The unhappiness that is usually characteristic of human nature may be attributed to the limited quantum of the resources of the universe that are available to you. You would like to have all the blessings of the world, but you do not have such a large vessel to contain that abundance of blessing that the world can grant you. Suffice it to say that you must be a large person in order that the large gift of this world may become your blessing. A little man will get only little things. Now, I mentioned that you should be a large person. People use words such as large-heartedness, whose meaning is clear to you all. It is not that your physical heart has become very big, but your feelings have enlarged you so much as to accommodate within you almost everything. You can feel everything in the world. Your feelings are capable of being friendly with all the processes of the world. You are a friend of the world; you are a relative of the whole world process. Take a little time to think whether you belong to this world or you are a totally independent person with the freedom to do whatever you like. Have you any obligation to this world so that you may expect an obligation from the world in respect of you? Why should you expect any gifts from the world if you cannot give anything to the world? The process of life is a phenomenon of interrelationship, cooperative living—a give-and-take policy, we may say—so that everyone is related to everything in this world. Philosophers tell us that our physical body is made up of the substance of nature. You think that nature is outside you, and you are totally outside it. This is not so. The very building bricks of your personality are the substance of the world outside. The physicality of your body is the earth principle. The air that you breathe is the very same air that is in the world outside. The liquid content in your personality and in your body is the very same as the water principle outside. The heat in your body is the same as the fire principle outside. There is also space inside your body; you are not a compact indivisible rock. That space is the same as the space that is outside. The space that is outside, the air that is outside, the heat that is outside, the water that is outside, the earth that is outside, are the substances out of which you are made. If you analyse this situation, you will wonder how you are really different from the world. The very stuff of the world is the stuff of your personality. The world is not merely touching you, it is you. When I utter this sentence, I have introduced you into the methodology of yoga practice. I have spoken simple sentences without any kind of technicality about them, but if you have appreciated the meaning and implication of what I spoke, you are certainly in a position to appreciate that you are a world individual. What a joy to feel like that! "How happy I am to be a world individual, and not a tiny tot helplessly walking on the road. Is it so that the whole world is structured in my being? What a wonder! If that is the case, the world will give to me everything that it has!" There is no distance between you and the world. This consequence will automatically follow from the acceptance of the fact that the stuff of the world is your stuff. If you deeply ponder over the result that follows from this kind of contemplation, you will immediately receive a pleasant shock. It is like the world entering into you. For a few seconds, hold your breath and imagine what it would be like if the whole substance of the world dashes against you, enters your veins and arteries, and possesses you completely so that you are not there, the whole world is there. This is simply yoga. Do not go to big textbooks. I shall refer to something deeper in the coming days, but this little thing—this homely sermon I have given to you in a few minutes—is enough to awaken you from the so-called turmoils of life in the world to the possibility of an awakening to a great blessedness before you. ‘Before you’ does not mean tomorrow or after some time, because the world is not tomorrow, it is here just now. The world does not come to you tomorrow. There is no time gap or even space gap between yourself and the world that you wrongly imagine as something being external to you. You will worship the whole world as a divinity, if you can properly appreciate the meaning of what I have told you. The world is a divinity. Traditionally, we consider the whole earth as the Divine Mother. According to traditional religious practice, when we wake up in the morning and keep our foot on the surface of the earth, we offer a prayer, "Mother Earth, please excuse me for keeping my foot on your body. Please excuse me, O great Divinity who sustains life, who has been sustaining my ancestors and myself. O great Goddess, I have no alternative than to be on your surface, on your very breast itself. Please excuse me." Divinity pervades everywhere. What is called divinity is the principle of inclusiveness and abolition of exclusiveness. There is nothing that the earth excludes. Nothing is outside the world. Here is an obvious example of inclusiveness before you. And if you are inseparable from the structure of the world, you cannot exclude any reality of life. You are an inclusive individual, a friendly person, cooperative, loving, charitable. You belong to everybody, and then everybody will belong to you. You will be a social stalwart, and a principle of divine blessedness. This is an inaugural session, and we are not actually commencing the curriculum of teaching now. This is a session for prayer, worship, and dedicating ourselves to the great cause initiated by the founder of this Ashram, Sri Swami Sivanandaji Maharaj. You are in a blessed place. You will be here for some time receiving the graciousness of the great Master of this institution, and I am sure that you will go back home as a large vessel carrying blessings to other people. You will be happy, you will be treated in a friendly way, you will not lack anything, and people will love you. You will not be discarded. You will feel a wonderful sensation within yourselves that all is well with you.